Hi everyone, I have been caught by the domino effect yet again. 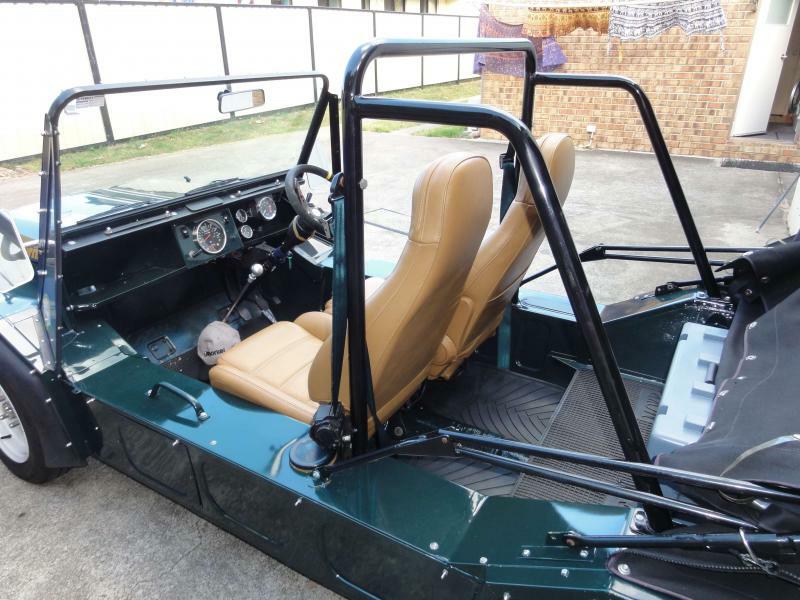 I fitted some MX5 seats and i now find that my shoulder is hard up against the roll bar, I have the retractable seat belt mounts on my roll bar so i guess that means it's a later type bar. I could have surgery and remove the offending shoulder however i still need the use of my arm, i have to hold the steering wheel while i change gears. I have seen some roll bars that flair out about 6 inches up from the pannier mount, it only needs to be about 2 inches (50mm) out. 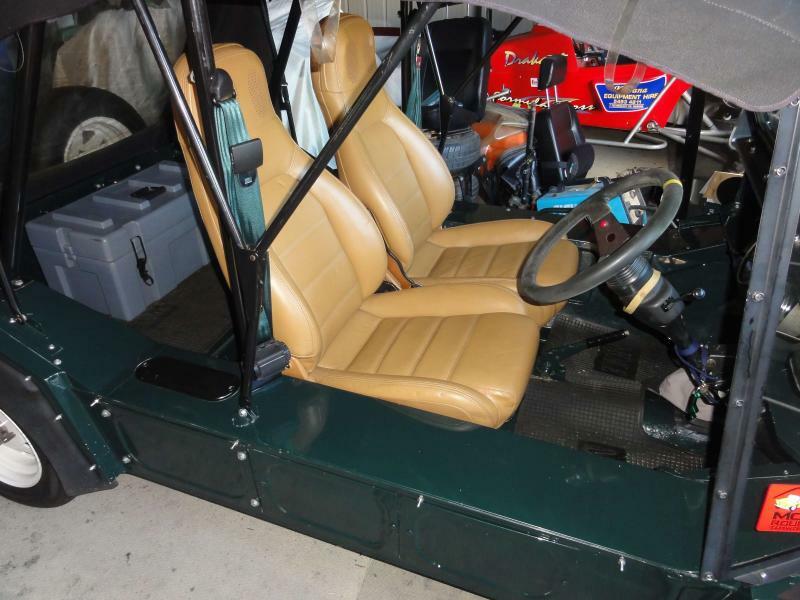 Can anyone here point me in the right direction to locate one, i don't want to cut up the bar i have now because that is going on to the maroon Moke. do you have a picture of the offending roll bar you can post? This is the bar i am looking for. If this works it's all thanks to Terry, i just hope i can remember how i did it,lol. Pretty sure you have the seats back to front. I had to remove and cut down the plastic recliner covers so they didn’t foul on the side box’s. They aren’t exactly straight up and down on the back and if swapped, you’ll find you will have the room for your offending shoulder. I’ll try and find a pic of Gullivers seats. Half pint think when in a mazda the passenger seat has the pocket in the back of the seat. when i put mine in if i remember correctly the passenger and driver seat had to be swapped over to fit in. Yes, i was told to use the passenger side for the driver and the driver seat as the passenger seat to make them fit. Another problem i have now is the seat belt release is between the seats, i have to get some 400mm long lower sections. I'm all ears and eyes, actually mostly eyes, males are visual creatures so i'm told. Halfpint, did you get your seats to fit with the recliners intact on the correct sides? Mine are swapped, the pocket is in the back is on the passenger side. I just measured between the centre of the roll bar across to the stitching of the head rest and have 140mm. My seats aren’t as reclined as yours though.